Online betting provider UltraPlay strengthens its Blockchain technology positions by presenting another project called eGold – an eSports betting cryptocurrency aiming to unify eSports betting enthusiasts all around the world. The eSports cryptocurrency will offer an easy, quick and secure alternative for betting on the most favorite games, such as Counter-Strike: Global Offensive, League of Legends, DOTA2, Hearthstone, World of Warcraft and many others. The eSports and crypto fans can choose from a wide variety of events to place bets on. The new digital currency is an ERC20 Ethereum-based token which allows the eSports betting community to feel the next level of gaming experience and be connected in a unified eSports ecosystem based on a cryptographic security. To achieve its mission, a carefully hand-picked team of some of UltraPlay’s most valuable professionals and partners, with in-depth knowledge and experience in eSports and Blockchain technology have decided to further contribute to the eSports betting scene and deliver another cutting-edge technology solution. 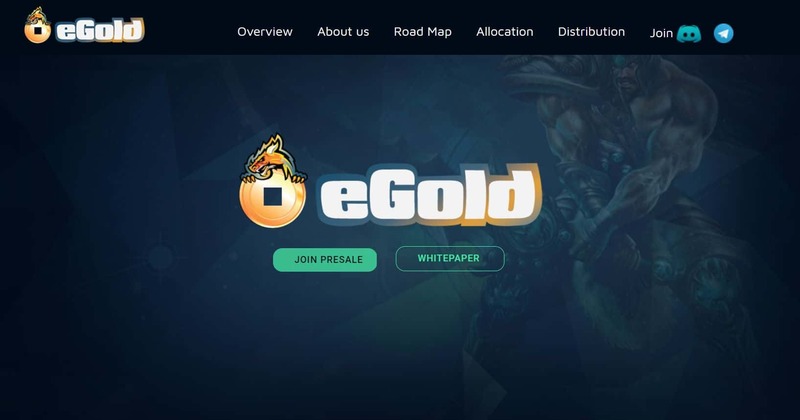 The core source of all the relevant information – from whitepaper and team behind, to roadmap as well as token allocation and distribution is presented on the recently launched web page eGold.gg. The cryptocurrency will be launched first onto an eSports betting platform – Buff88, which is going to be further developed to offer a Blockchain based betting. To secure the whole project implementation – from initial development to adoption, the company launches an Initial Coin Offering campaign. The eGold token sale is set to start on December 18th, 2017 till February 28th, 2018. There will be different kind of bonuses including POWER DAY and POWER WEEK. All interested investors, eSports bettors and fans, as well as crypto enthusiasts, can participate and purchase EGOLD tokens. Participation in the crowdsale will only occur with ETH currency and will happen through audited Ethereum smart contracts. “We are very excited to introduce eGold to the eSports and crypto community. Together, we can make it the first-choice payment method for eSports betting. With UltraPlay’s distribution network on the core and emerging online betting markets such as Europe, Asia, Africa, Latin America, eGold has the potential to reach millions of users worldwide and unite the eSports betting community. In the meanwhile, for those interested in the project, presale subscription is now open, you can show your interest here. “We are proud to announce that eGold has engaged WINGS Foundation in order to efficiently price and promote the eGold crowdsale event to the maximum number of participants. We would like to thank our advisers and partners, who greatly contribute with their time, knowledge and enthusiasm to the idea of establishing next-generation betting experience, based on the Blockchain technology”, concluded Mario Ovcharov.